Click above logo to access website and Love Flows if you are unable to access this newsletter. 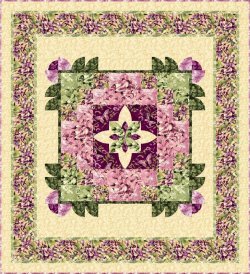 I'm excited to share this official notification of my first quilt retreat opportunity which will be held August 26 - 29, 2013 in eastern Pennsylvania. The retreat will take place at Blue Lake Retreat Center, Denver, PA, near Burkholder Fabric. Rooms are available Monday - Thursday evening with a Friday check out. Price includes double/single rooms with linens and towels, a welcome reception, daily continental breakfast, daily lunch, three days of classes, and 3 pattern choices. My definition of a quilting retreat is an opportunity to learn a new technique, challenge yourself with a difficult design or step into a simple design for relaxation. Most of all it's about fun, laughter, sharing, making new friends, creativity, inspiration, and learning to laugh at our mistakes. Throw in gratitude, compassion and love and we have a great mix for a delightful week. We will end the week with a couple of design opportunities that are all about about color, stash busting and pure, simple fun. Click here for more details. I hope you and your friends can join me for what's sure to be a fun-filled, creative week in the midst of beautiful Amish country. 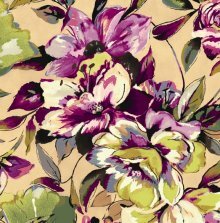 Many of you may already be aware that I had my debut line of fabrics, Love Flows, with Maywood Studio in October. I couldn't think of a better name since it's the tag line on every quilt pattern I create.